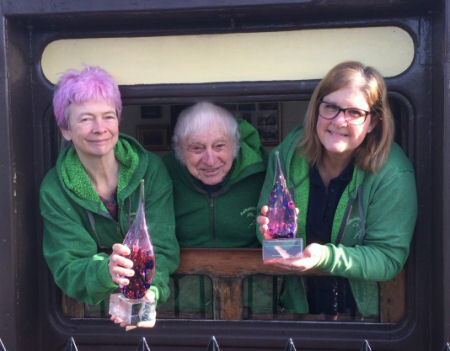 In February 2019 we were delighted to be awarded two trophies at the South West Tourism Awards, which covers seven counties, from Cornwall to Wiltshire and Gloucestershire. 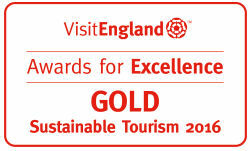 We won Gold for Glamping and Alternative Accommodation and Silver for Responsible, Ethical and Sustainable Tourism. We also won Golds for Responsible, Ethical and Sustainable Tourism, and Glamping and Alternative Accommodation, a bronze for Access and Inclusivity and were highly commended for Wildlife Friendly Business. In 2018 we also were awarded an M3 rating for our accessible carriage, Millpool. This means we are officially recognised as providing excellence for Independent and assisted wheelchair users, as well as part time wheelchair users and older and less mobile guests. Another accolade for 2018 was winning the Best Eco Garden in the South East Cornwall in Bloom competition. 2017 saw us mainly taking a break from award applications, but we were awarded Best Eco Garden in the South East Cornwall in Bloom competition for the third year running. We were also shortlisted for two awards in the Cornwall Sustainability Awards; Best Managed Small Business and the Environmental Growth Award. 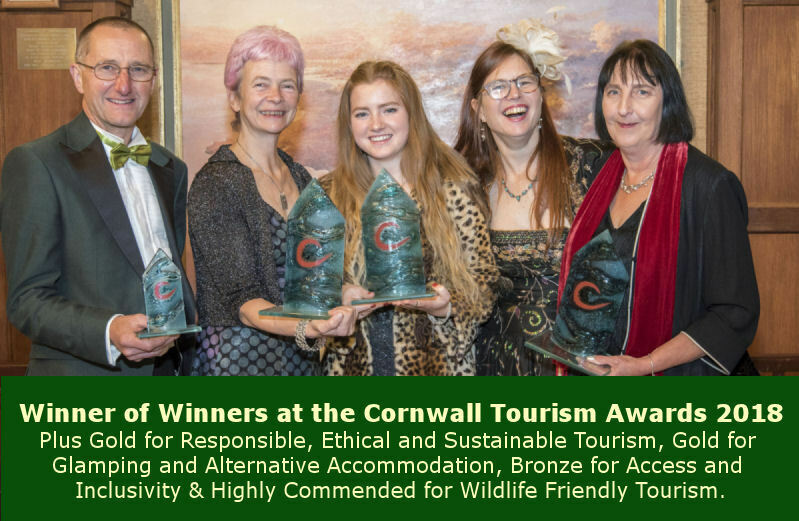 2016 was an impressive year for us with awards, winning Gold in the South West Tourism Awards for Sustainable Tourism, being awarded a gold rating for the Green Tourism Business Scheme and winning best eco garden in South East Cornwall in Bloom. 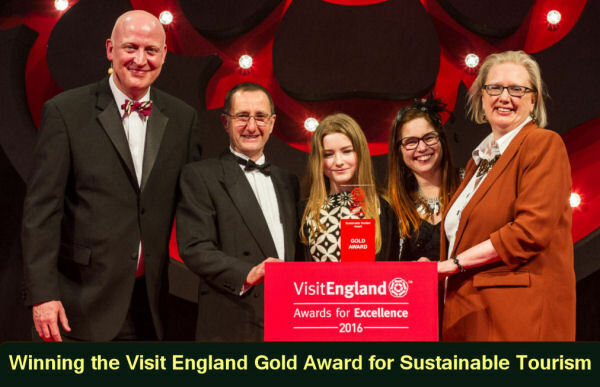 However the icing on the cake was our Gold for Sustainable Tourism in the Visit England Awards, the top award for the whole country! "OLV as good as everyone says and lovely little touches." "We were amazed at its uniqueness and the comfort it provides"
"Oh Wow!!! This exceeded all expectations - Absolutely Fabulous!!" "Couldn't have wished for a more perfect romantic weekend." "We could live here forever"
"Loved boiling kettle on stove for cup of tea." "A little oasis of luxury." "This holiday has been one of the most enjoyable that we have experienced." "My first visit and will not be my last! Have had a lovely time." "Such peace and quiet we have not know for some time. Simply, Thank you." "The bed has to be the most comfortable in the world!" "A wonderful surprise for my 65th birthday." "Despite the mixed weather we have really enjoyed our stay. The log burner was a plus for cooler evenings." "Unique accommodation, well equipped and cosy with thoughtful touches." "Loved watching all the birds in the garden." "What an experience - so many facilities in a compact space." "The minute I walked in I felt totally enchanted - what a treat." "Our first time in the OLV and I can see why the comment book glows!" . "My weeks holiday in your Luggage Van was the best holiday I've had for years. This little van was as cosy as you could wish. The situation it was in was nothing short of being totally superb." "When you can combine railway activity with glorious countryside and fascinating resorts, who needs abroad!" "Wish we had stayed for two weeks as there is so much to see and do!" "What fun! ... an ingeniously constructed and well appointed space." "The best equipped holiday accommodation we have ever stayed in." "As a madcap rail enthusiast this was sheer heaven." "An excellent Holiday, The Pullman, Royal Train and Steam Loco Special were only surpassed by the warm reception and help of "mine hosts" Lots of thanks to Lizzy, David & family"
"The petrol crisis hasn't bothered us with the good links by train from St. Germans. Have travelled to many places throughout the world and this is one of my favourites." "We quite simply love this place." "10 out of 10 - probably the best online camping in the world." "Yes we're back again for our nineteenth and twentieth weeks. Gets better every time." 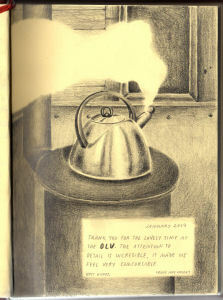 For a beautifully written account of a short break stay in the Old Luggage Van, click here. "Lovely layout, good facilities and the attention to detail and resources are brilliant. Thank you for the lovely goodies on arrival and the beautiful roses that smelt divine. The trains that were passing helped to make the holiday and were not intrusive at all." - Mr & Mrs B, Derbyshire. "The location is amazing, and the accommodation really comfortable. We are sad to be leaving, with tears shed by some of the party." - Mr & Mrs D and family, Sussex. "The TPO is wonderful and the hospitality is second to none." - Miss W, Northampton. "We have had a fantastic time in the TPO and although we are a fairly young couple (both 23) it just goes to show you don't have to go to Ibiza to have a good time!" - Mr A, Kent. "Fantastic conversion, very comfortable and well equipped in a great location. Couldn't ask for more." - Mr & Mrs M and family, Brighton. "Pleasantly surprised at the comfort of the TPO. Found that St. Germans is very well placed as a base for touring the region and easily places for travelling further afield by train." - Mr & Mrs B, Scunthorpe. "Lizzy and Dave were so helpful and the extra touches like fresh flowers and Cornish provisions made us feel really welcome." - Mr & Mrs F, Manchester. "The toys provided in the TPO were fantastic and we also enjoyed playing outside on the ride-on toys. it certainly made for a very easy break." - Mr & Mrs R and family, Banbury. 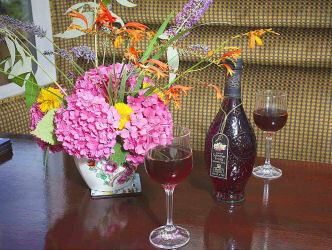 "Your accommodation is so unique and it is also so refreshing to enjoy your genuine hospitality. Your efforts to provide "everything" for those who choose not to use the care and travel "light" for a whole week is very much appreciated." - Mr & Mrs T and family, Congleton. "What a wonderful holiday. Carriage fantastic, lovely people - nothing too much trouble. Will definitely be back - loved every minute." "Absolutely delightful holiday and such friendly and helpful hosts - thank you!!!" "What a wonderful setting with fantastic carriages. the Slip Coach is the best railway carriage conversion I’ve stayed in. Look forward to returning and seeing the other coaches restored." "We've all loved our holiday - crabbing in Looe, rock pooling in Portwrinkle, eating out overlooking the sea at Seaton. The boys have loved the bunk beds." "The railway carriage is absolutely lovely. We travelled Cornwall and Devon by train. 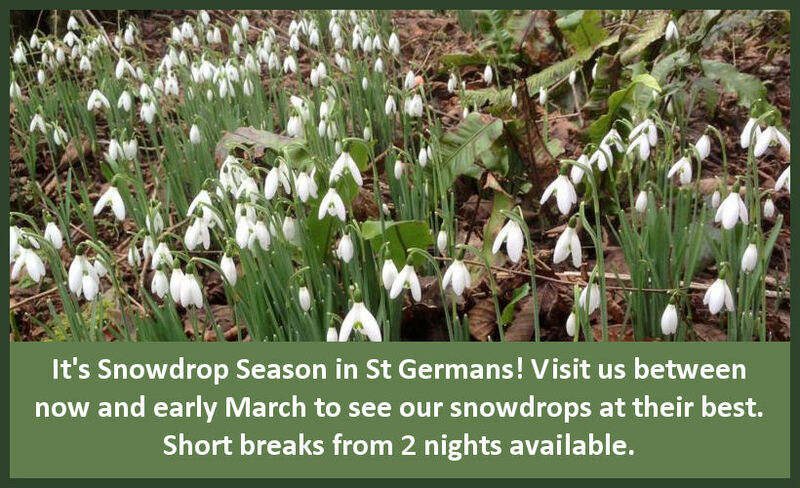 It was great to be only 2 minutes from base when we arrived back in the evenings!" 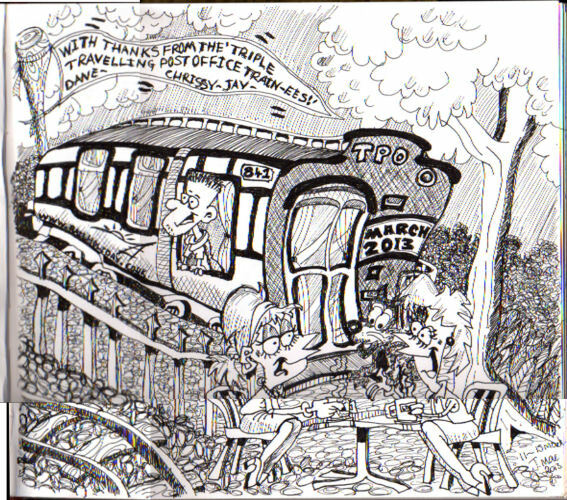 "Thank you very much for a great holiday in your fabulous railway carriage. You have worked very hard to make it home from home - it is all perfect." "We can't believe our luck that we've made such a find! We will certainly return"
"We all had a lovely holiday and no-one wants to go home. Even though we are only a stone’s throw from Plymouth it feels like a world away!" "The carriage is amazing, prompting a lot of debate over which is our favourite, this one or Harvey, but really they are both amazing and we will be back again to holiday with you. Thanks for everything!" "Mevy really is 'First Class'. Thank you again Dave and Lizzie for a wonderful holiday. We have stayed in 'The Old Luggage Van' and 'The Travelling Post Office'. The detail that is put into the renovations is outstanding." "You've created a beautiful, luxurious place and you packed it full of welcoming, friendly touches which makes it feel so homely and special. We will keep coming here and recommending you to our friends." "A very happy stage of life’s journey. Thank you!" "We all think Mevy is great and out-shine’s any other holiday accommodation we’ve had!! Really unique!!" "Mevy has been well worth the wait! Truly wonderful, luxurious and, more importantly, comfortable. I look forward to further visits in the future." "Incredibly well equipped and surprisingly comfortable" - Mr S, West Midlands. "My favourite part was body boarding on the huge waves" -James aged 11, Gunnislake . "The coach provides comfortable accommodation, superb 'spotting facilities' and an excellent base from which to explore the area" - Mr P and family. "We both had a superb holiday - we'll definitely be back!" - Mr & Mrs G, Bristol. "Super Accommodation - we even managed breakfast on the deck most mornings - our two young boys were still excited every time a train went past at the end of the week here" - Mr & Mrs P & family. "Just enough conversion to provide comfortable living conditions whilst preserving the original feel of a 'real' railway carriage" - Mr J, Sutton. "All of us from Grandma and five children aged 9 - 18 enjoyed staying here ... would certainly think of returning again and recommend this to others" - Mr & Mrs B & family, Surrey. "This is the best place ever for public transport access!" "Visited Falmouth and Pendennis Castle, St. Ives and Carbis Bay by train, Mousehole and St. Michael's Mount by train and bus. Glad we left the car at home again!" "We've enjoyed every moment of being here, with the children calling it home (and not wanting to go out on several occasions)" -Mrs R & family, Peterborough . "The children never tired of seeing if they could make train drivers hoot and wave at them" - The C family, Wales. Our journey began on a chilly Late March morning. After leaving the car at St Germans station, the closest to our Whitsand Bay cliff top home, we boarded the train West. "The line, part of the Cornish Main Line, runs along the spine of Cornwall, including towns such as Liskeard, Lostwithel, and Bodmin Parkway, before heading into the old industrial heartland of Cornwall. Along the way you cross towering viaducts, such as Bolitho, Tregagle and Tresulgan and through Treverrin Tunnel at no less than 565 yards long. St. Austell, Par and Roche are set below the shadow of the Cornish Alps, huge slag heaps, testament to Cornwalls once dominance of the global china clay trade. Next, the chimney stacks of the old mine engine houses, between Cambourne and Redruth, point further to Cornwall’s once industrial heritage. Finally the train pulled into Hayle station, set just before the viaduct crossing the Hayle River. As we alighted, Harvey, the 1957 carriage came into to sight, tucked in behind a wooden fence on the Westbound line. We stayed in the East End of the carriage, each compartment converted to a different function, but still retaining many of the original features. Even though, set just behind Hayle station, there is little disturbance from either passing trains or other travellers. In fact the noise of the functioning station and line only adds to the authenticity of the experience. Hayle itself, is a short walk down the hill from the station, with local shops, pubs and restaurants all nearby. We particularly enjoyed the Sunday lunch at the White Hart Hotel, an imposing building dating back to the 1860’s. Within a short walk along by the harbour you come out onto the Towans, part of a long sweeping sandy bay, stretching from Godrevy, with its iconic lighthouse, to Hawkes Point on the West side of the Hayle River. At the right stage of the tide you can walk it's length, with the often crashing Atlantic surf surging up the beach. A good day trip is to take the branch line from St.Erth to St.Ives, home of the Tate Gallery and Barbara Hepworths home, and if the inclination takes you a surfing lesson on Porthmeor Beach. Alternatively, a day spent on Harvey wouldn’t be a day wasted, listening to the passing trains, whilst picking through the wealth of reading material on board. The break was fantastic and my wife and I couldn’t recommend enough the opportunity to experience an unusual, yet rewarding holiday."